Technically, I didn't let one grow. 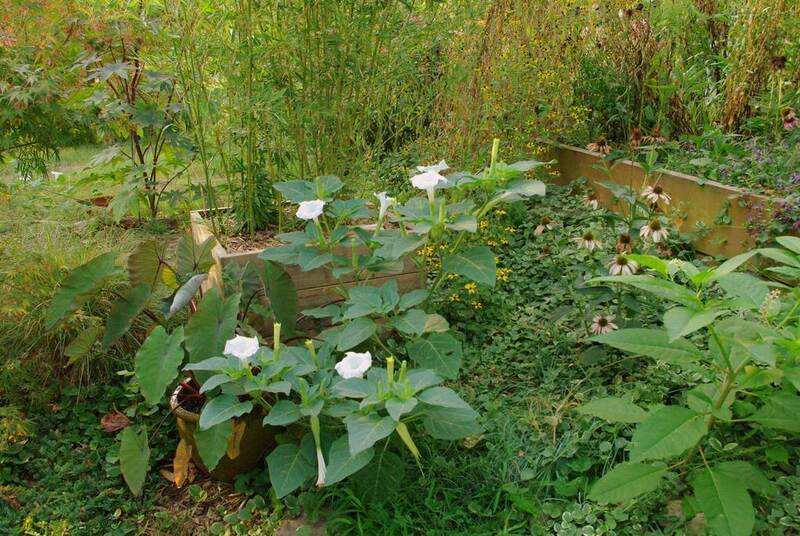 There are about 5 smaller plants growing here this year, even after I pulled many seedlings out of the crack in the spring. That's seven or eight plants growing on or next to the driveway. What did I do with the seedlings I removed from the crack? Planted them throughout the garden of course! 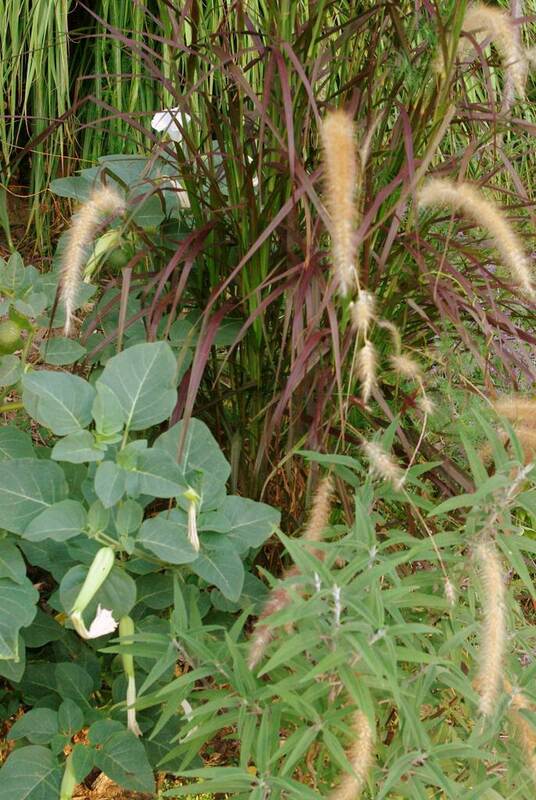 This one looked better earlier in the year before it flopped over, but I still love the contrast with the purple fountain grass. I never would have thought to plant one there, so I'm glad it popped up! 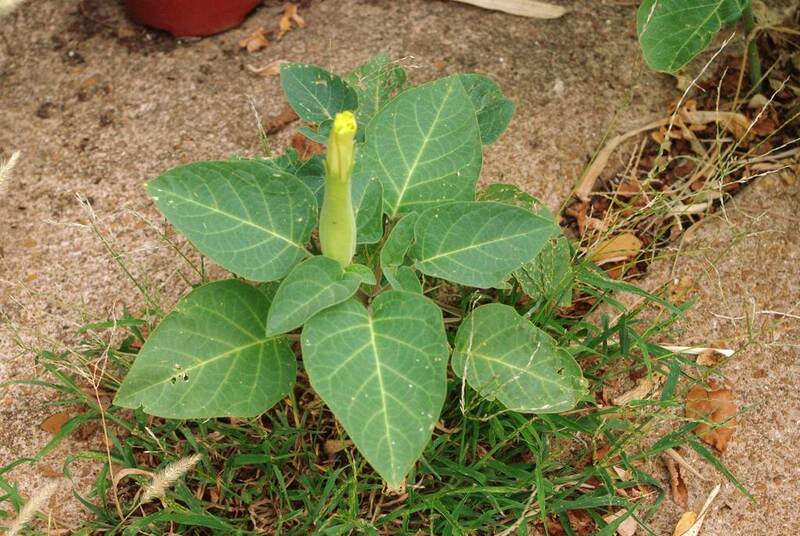 So what is that, about a dozen of these Datura inoxias growing in my garden this year? Oops. Well, I guess I'll have even more volunteers next year. Is that such a bad thing though? 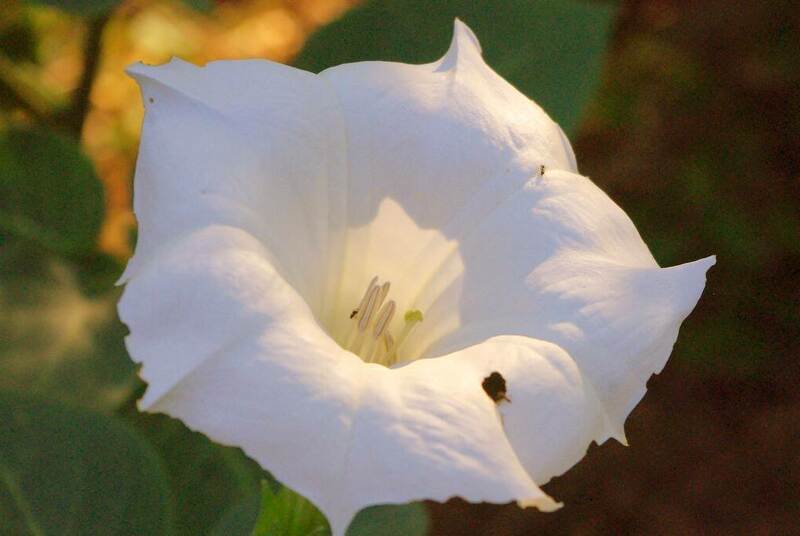 Your datura are beautiful and the combinations that you and the volunteers made are very nice! 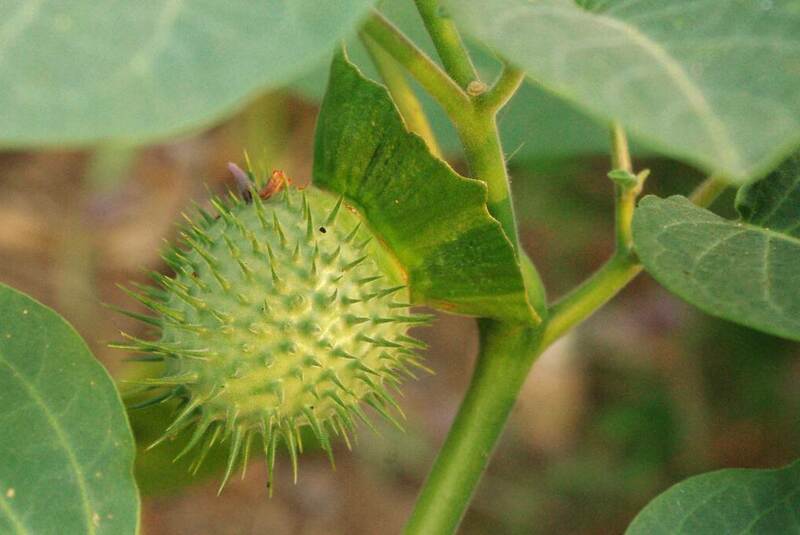 Love the seed pods that look like jousting equipment! 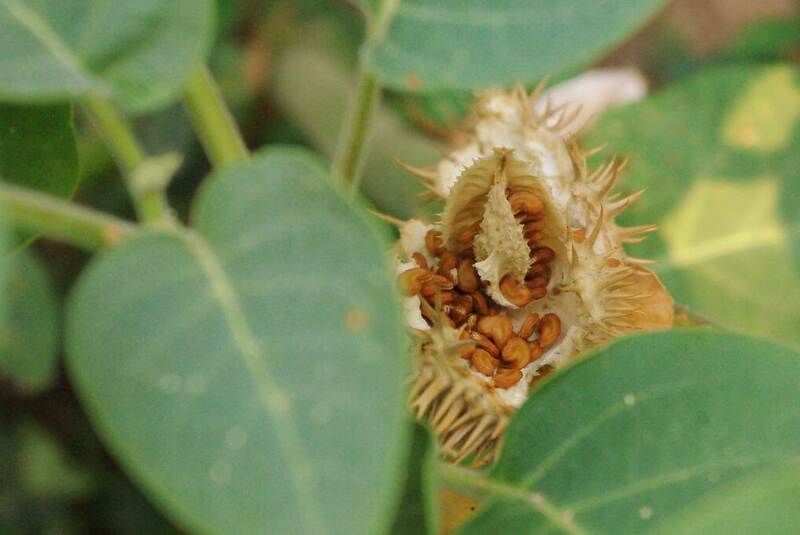 I'd love some seeds. 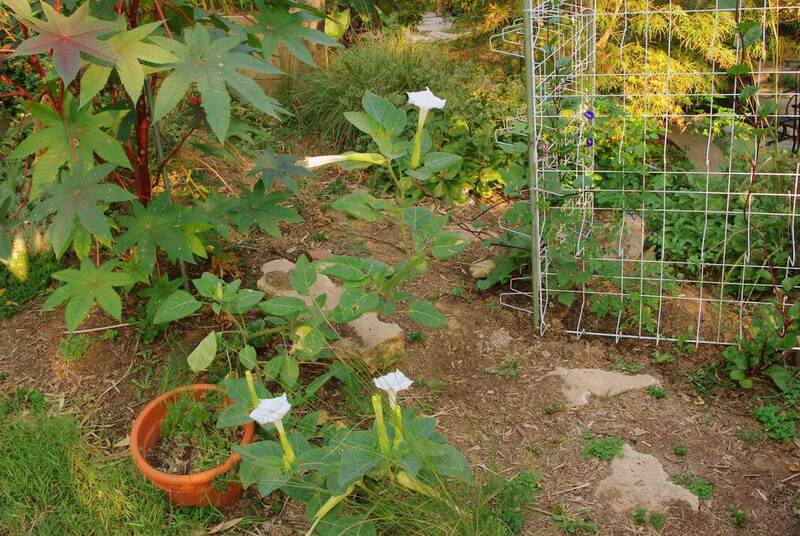 Every year I plan on growing a datura but I never do. I saw daturas all over the Southwest. Not sure if they were inoxia or metel--I can't tell them apart easily. That's a very tempting offer, Alan! I'll just have to enjoy you enjoying them, however. 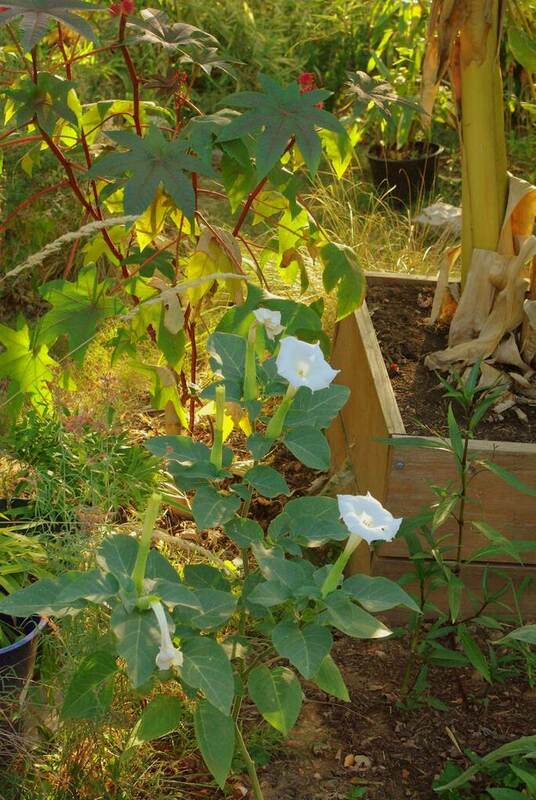 My kids put flowers and stems in their mouths so often, it's not safe for me to grow datura yet. 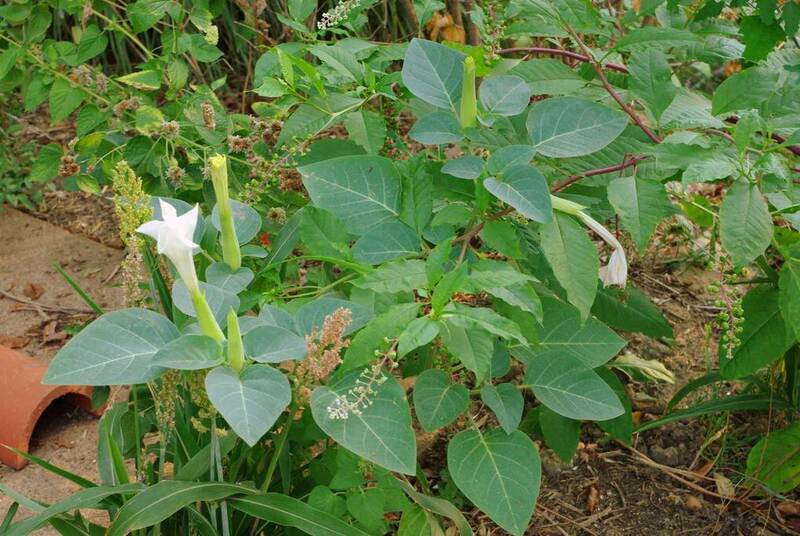 This is a 'someday' plant for me. Must be the heat that really gets these going for you? 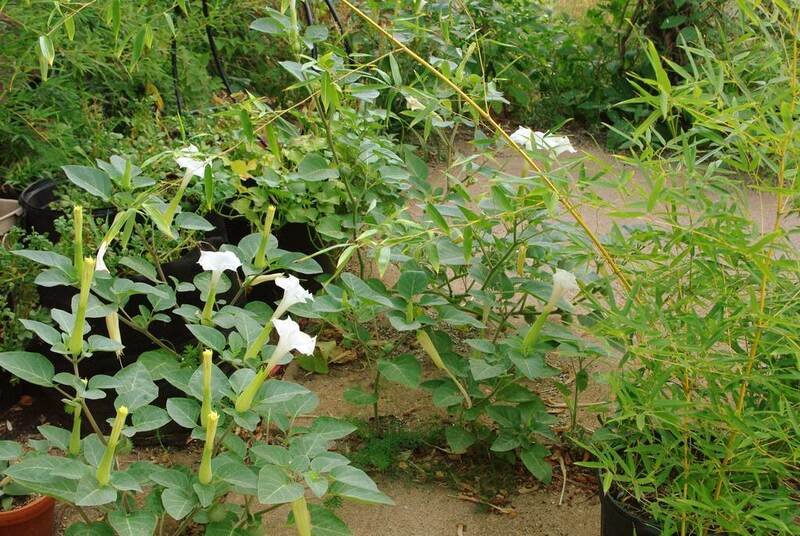 I've tried to grow them and the best I've gotten is a leaf or two and no flower. Yours are fabulous! 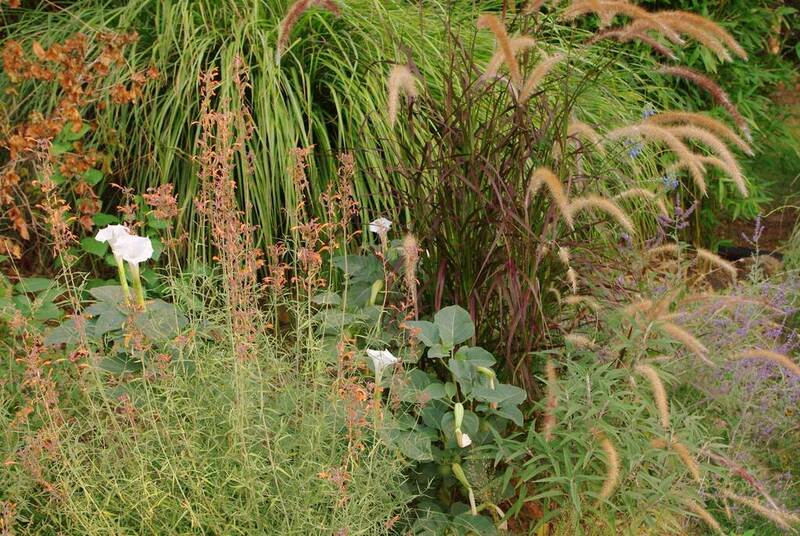 You and your weeds? 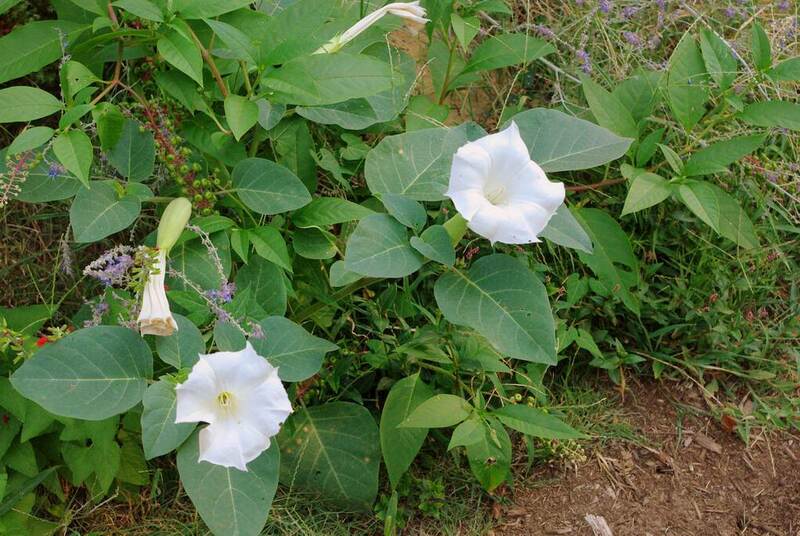 I am more familiar with "Jimson weed"(Datura stramonium) a horrible, smelly, poisonous, hard to get rid of weed.